Their enchanting presence is that which captures the heart while the splendor of their fiber demands that our creativity must bloom to meet the challenge of its purpose. 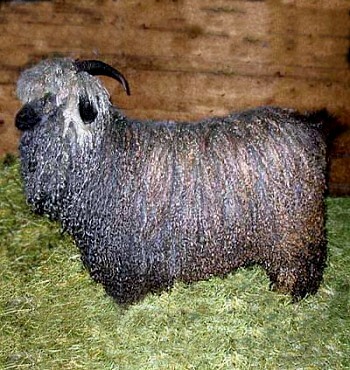 The Angora goat is a very basic and indispensable component to man's life. We love our animals and the challenge of our breeding program, the shows and expounding their virtue so overlooked by many in a world of fast living, fast food and synthetic substitutes. Their value is real, their purpose is apparent and we benefit greatly by embracing them as an essential segment in our life upon this earth. We endeavor to promote their beauty and function.